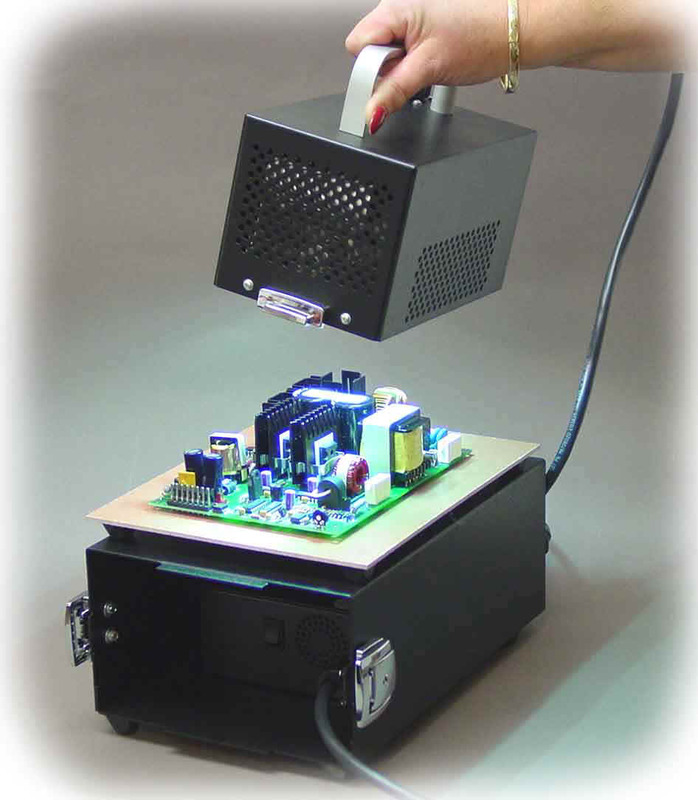 The SunSpot SM is a high intensity, compact UV light curing system. 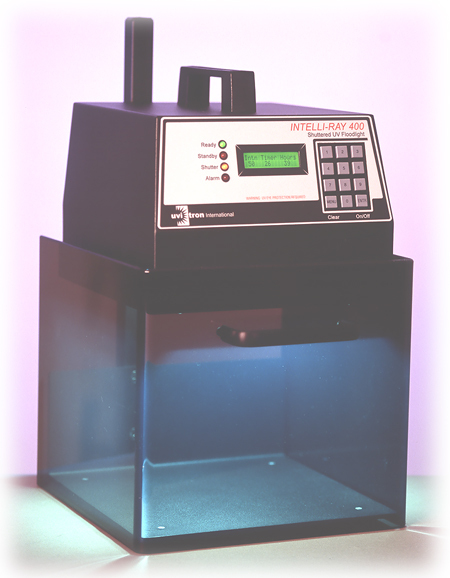 The unit was designed with low cost of ownership in mind, with its vertically mounted long-life mercury lamp, separately replaceable elliptical reflector, and filtered input long-life light guide. 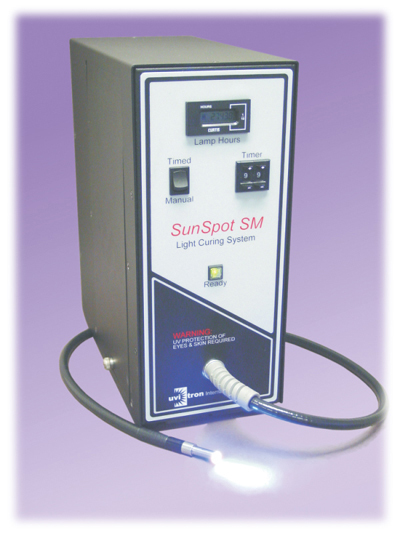 The Sunspot's easy to use exposure time controls and foot pedal activation make operating the unit a snap. The system weighs in at less than 7.5 pounds, and its 10 x 5 inch footprint is the smallest in its class.